Photographing wildlife at our house is a little more challenging than usual due to the fact that one of my dogs figured out early on that every time I pick up my camera and head for the back porch that must mean there is a deer or a fox or a hawk nearby. This revelation is followed by loud barking that usually scares any nearby animal away. Last night, however, I was able to quietly sneak out the door past my smart dog and track this beautiful fox parked the woods behind our street. 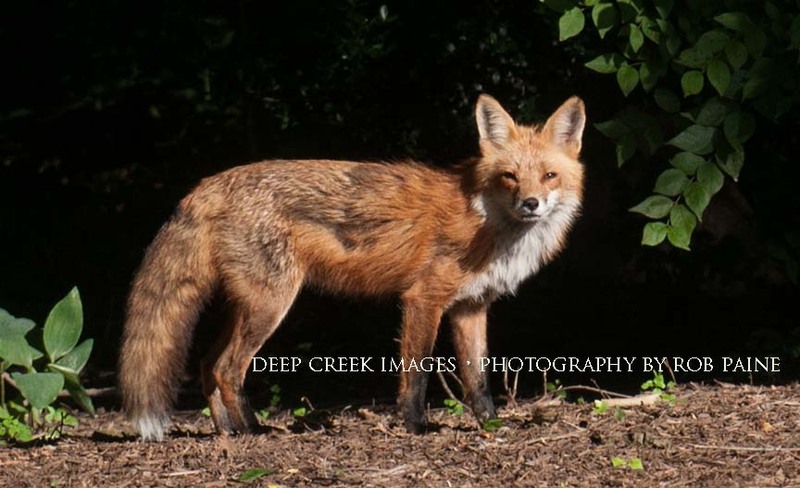 The fox stared at me and then back at a nearby berry tree where some birds were chirping. 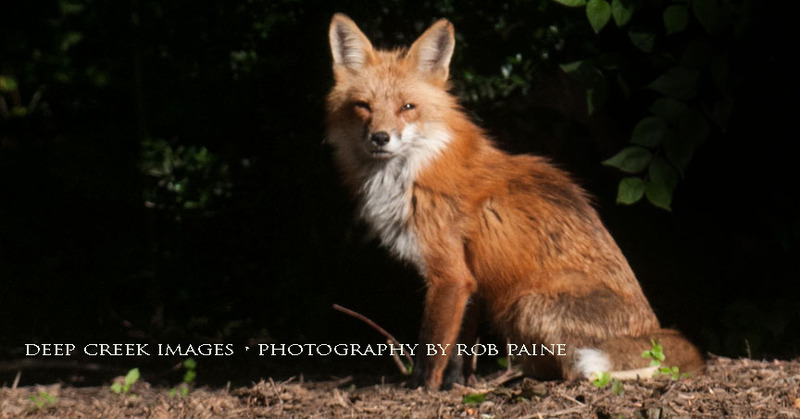 I slowly creeped up a few feet every few frames to get as close as I could without scaring the fox away. He eventually ran off though I did not realize why he stayed as long as he did until I took a closer look at these photos that were blow up several times. 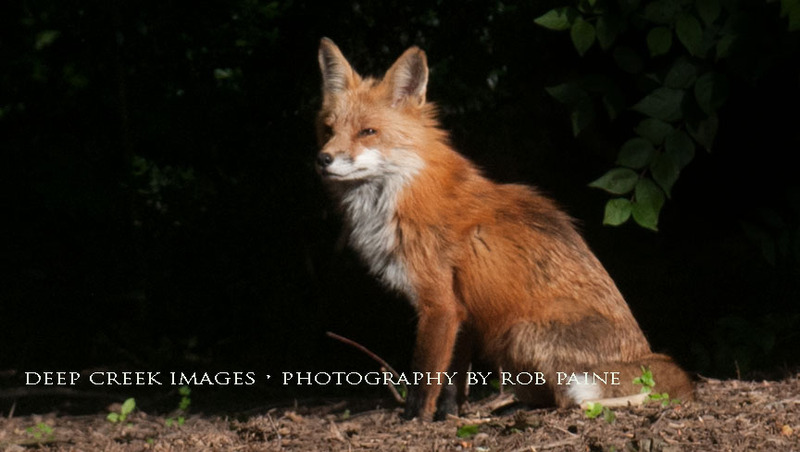 If you look in the lower right hand corner you will notice a bone sitting next to the fox’s hind leg. He was not planning on going anywhere without that which worked out well for me.